It’s our birthday weekend! We are 25! We are celebrating 25 years supporting individuals with profound and multiple learning disabilities, their families, carers and professionals! Are you joining us for one of our celebration picnics? Join is for some food, cake and fun!! 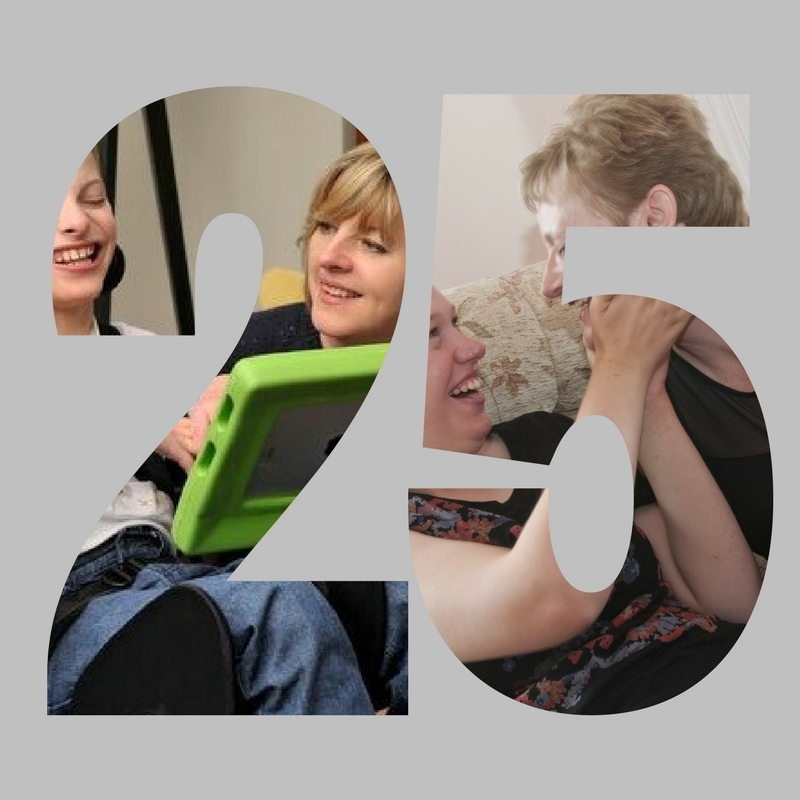 “PAMIS is delighted to be celebrating 25 years of working with some of the most inspirational people in our communities – people with profound and multiple learning disabilities and their family carers. It has been a privilege to be involved with the organisation that has made some huge breakthroughs in the way we support and value this group of people and their family carers. The next 25 years will be equally exciting and not least our birthday present – the delivery of the mobile changing places toilet. This resource will radically open up communities and venues across Scotland. PAMIS will listen to people with profound and complex needs and their families and make sure we are a part of making their dreams a reality.